Want Your Marriage To Last? Start With A Huge, Cheap Wedding Research last year found that more attendees at your wedding means a lower chance for divorce — but so does spending as little as possible on the festivities, and even on the engagement ring. 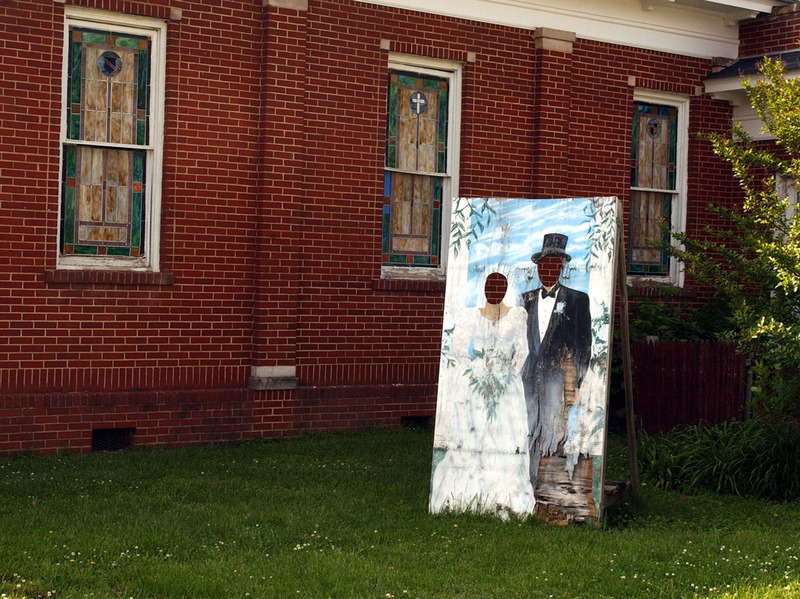 A photo prop sits in May 2003 outside the Wedding Chapel, one of two commercial chapels in Ringgold, Ga. 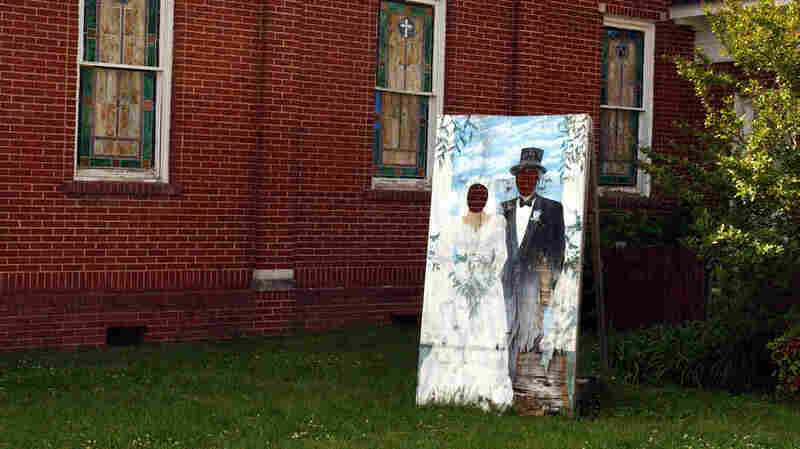 The town of 2,422 issued 2,259 marriage the year before, and added $700,000 to the economy, because of the cheap cost and the plethora of related services the town offered. Before and after, there's the bachelor/bachelorette party, the rehearsal dinner and the day-after brunch. There's the photo booth, which is a definite necessity these days. And what couple doesn't have a website designed to share with the world the first time they laid eyes on each other? "The whole thing has gotten way out of hand," sociologist and sexologist Dr. Pepper Schwartz says of what some have come to refer to as the "wedding-industrial complex." Yet until Emory University economics professors Andrew Francis and Hugo Mialon decided to organize a study last year, no one had paused to question whether this out-of-control spending was having an impact on, well, the actual marriage. Getting Married: Should You Wait Until You Can Afford It? Spoiler alert, it does. And it's not a positive one. Francis and Mialon surveyed more than 3,000 people — all of whom have been married just once — and found that across income levels, the more you dish out on the Big Day, the shorter the marriage. For both sexes, spending more than $20,000 on the wedding ups the odds of divorce by 3.5 times compared with couples who keep it between $5,000 and $10,000. For the best odds, though, keep the festivities to less than $1,000. According to the media company XO Group, the average wedding budget has soared to an all-time high of almost $30,000 (that's not including the honeymoon), with 1 in 8 couples spending more than $40,000. As a whole, research firm IBISWorld calculates that the industry generates $55 billion a year. Having an indoor wedding? Can we suggest a dress made out of toilet paper? 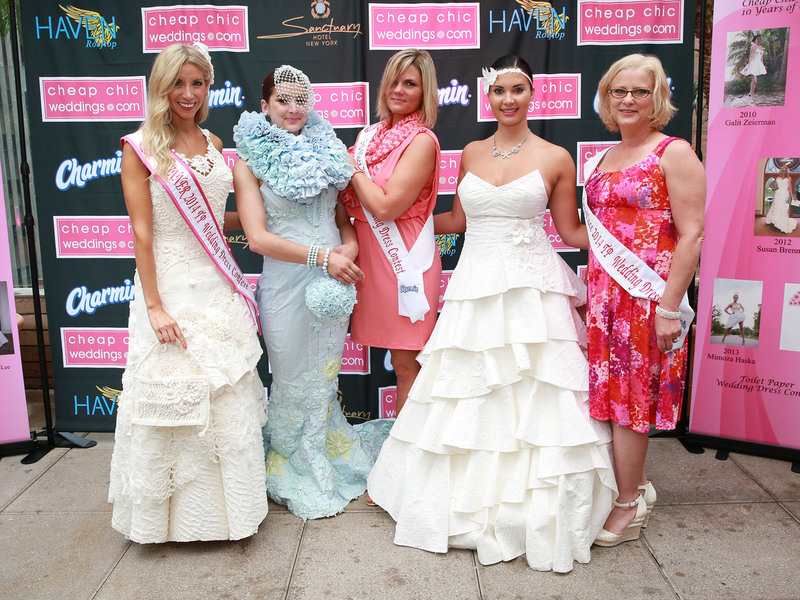 The top three prize winners of The 10th Annual Cheap Chic Weddings Toilet Paper Wedding Dress Contest, Susan Brennan, Amber Mills and Katrina Chalifoux, show off their winning entries June 12, 2014, in New York. "Advertising has fueled the norm that spending large amounts on the engagement ring and wedding is an indication of commitment or is helpful for a marriage to be successful," the researchers wrote in an email — an assumption their work debunked. Francis and Mialon say one possible explanation is that post-wedding debt stokes marital tensions. But, as Schwartz is quick to point out, correlation is not the same as causation. She says part of the problem may be that "the wedding has become the highlight rather than the beginning of something." After almost three decades of planning weddings, Kim Horn, whom bridal geeks might recognize from her cameos on the WE network's My Fair Wedding, agrees: "The focus is not on the relationship and the long-term commitment." Since the 1980s, when Horn first started her career, the industry has become much more hyped, she says. Between bridal magazines and reality TV shows, couples are inundated with advertising, so she says it's not surprising that wedding spending has gone up. One of Francis and Mialon's other findings seems to contradict the numbers that point toward lower spending: A hefty guest list also lowers the odds of divorce, with attendance over 100 people providing the best boost to marriage longevity. The ultimate message seems to be, keep your big day big, but shrink the per-guest price tag if you want the years that follow to be just as fulfilling.